CDs and PDF downloads available to ORDER here. Search more than 1.35 MILLION NAMES from cemetery transcriptions, baptism records, newspaper indexes, genealogies and resources in our library. 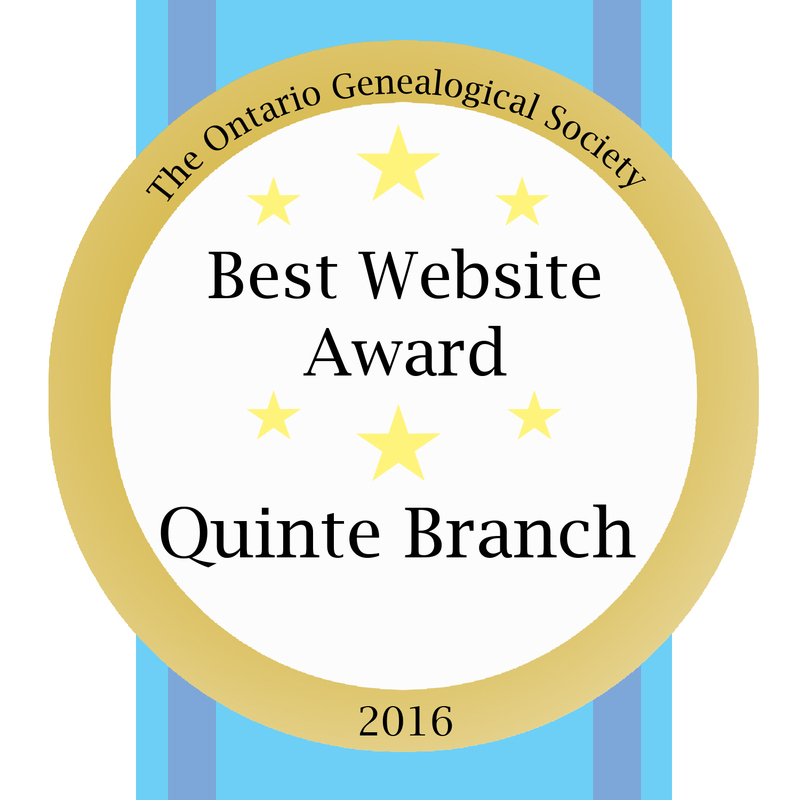 NO Presentation at Quinte Branch. "All About the Ontario Genealogical Society"
Doors Open Quinte West: "Open House"
"Genealogy Workshop: Getting Ready for Summer"
Quinte Branch Presents a "UEL Workshop: The Loyalists: Recent Application Changes and Looking Beyond the Loyalist Ancestor"
Quinte Branch Presents, "Using Census Clues to Build a Blended Family"
Quinte Branch Presents, "All About Quinte Branch"
Using Free & Pay Websites to Find your English Ancestors"